Join us to celebrate the launch of 19 for 19, WQXR’s inaugural annual list celebrating some of the most exciting classical artists on the planet. 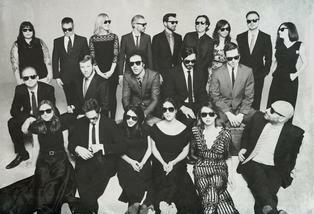 This one-off event brings together members of the new group for what promises to be a unique and spectacular concert. Featuring acclaimed violinist Anne Akiko Meyers, beloved pianist Inon Barnatan, visionary chamber ensemble The Knights, and two young artists who are set for international stardom: 20-year-old classical saxophone sensation Jess Gillam, and Wei Luo, the astonishing 19-year-old pianist who has been dubbed “the next Lang Lang.” Program details to be announced, but will range from Haydn to John Williams; Mendelssohn to Arvo Pärt. Hosted by WQXR’s Creative Director Clemency Burton-Hill. WQXR and the artists of “19 for 19” are committed to make the world’s greatest classical music accessible to all; tickets for this very special event are priced at just $19. Anne Akiko Meyers has been busy on the international professional scene since she was 10 years old. She has a host of honors to her name, but is not one to rest on her laurels. Her 2019 is another year filled with premieres, outreach initiatives and new collaborations. Having given the world premiere in 2015 of Einojuhani Rautavaara’s final work, Fantasia, Meyers resurrects it for its Asian premiere in Japan. In the spring, she heads to London for the launch of The Strad’s new educational conference. 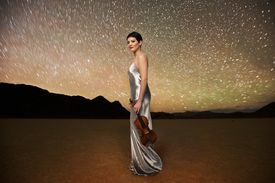 On this side of the Atlantic, she tours with classical guitarist Jason Vieaux, and joins the Pasadena Symphony for Adam Schoenberg’s Orchard in Fog, written especially for Meyers. Down the road, she’ll play commissions from Arturo Márquez, Michael Daugherty and Julia Adolphe. 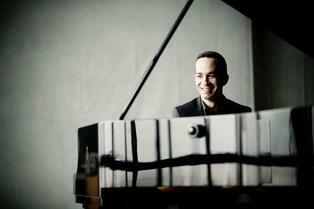 New York-based Israeli pianist Inon Barnatan is so admired by audiences and musicians alike that his fellow artists fall over themselves to collaborate with him — meaning his dance card is perpetually full. Musically speaking, what we love best of all about Barnatan is his sheer range. Not only does he slay the Romantic repertoire (he has been dubbed “a born Schubertian,” and he’s a Chopin, Mendelssohn and Rachmaninoff master as well), but he’s also fully at home performing more recent works. His reading of Messiaen’s From the Canyons to the Stars might just be definitive, and he’s a brilliant advocate for contemporary voices such as Thomas Adès and Matthias Pintscher. Having recently finished his term as the New York Philharmonic’s first-ever artist-in-residence, in 2019 Barnatan becomes music director of La Jolla Music Society Summerfest, and we can’t wait to see how he brings his musical intelligence, poetic sensibility and innate sense of fun to the proceedings. The creative brainchild of brothers Colin and Eric Jacobsen, The Knights emerged from a number of informal chamber music reading parties. Although the ensemble defies easy categorization, it might best be described as a collective that wants its performances to be as culturally relevant as they are technically sound. While based in Brooklyn (The Knights are artists-in-residence at BRIC), the ensemble collaborates with artists from beyond the borough, considers musical influences from across the globe and often presents the work of composers with a similar artistic outlook, building their own unique, borderless sound. Consider 2017’s album Azul, featuring Osvaldo Golijov’s composition of the same name as performed by the orchestra and Yo-Yo Ma, Caroline Shaw’s arrangement of Stockhausen and a bounty of interpretations of music by Sufjan Stevens. This year The Knights trek across Europe in a 13-city tour with Israeli mandolinist Avi Avital, and drop into Zankel Hall with Syrian clarinetist Kinan Azmeh. 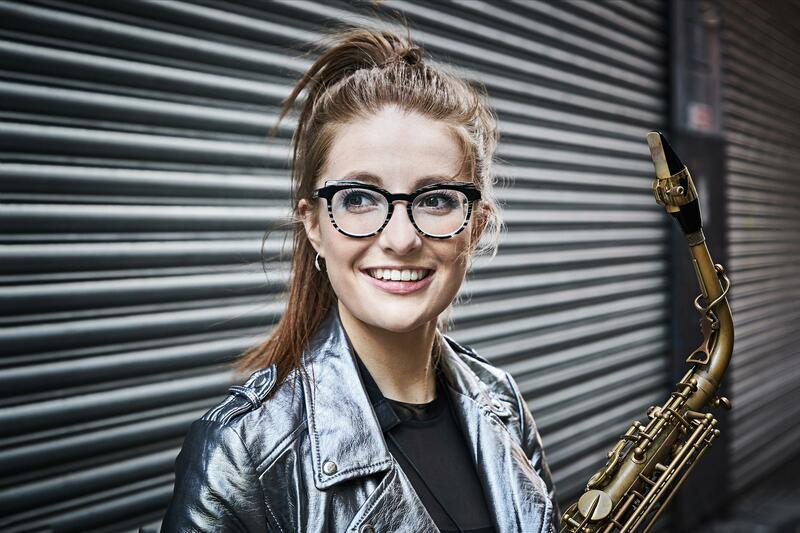 Nobody who watched The Last Night of the Proms in 2018 could miss the star turn by young classical saxophonist Jess Gillam — one critic described her, correctly, as “stealing the show.” Indeed, this coolest of cats looked as though she had been born to play the Royal Albert Hall in front of 6,000 people (and millions more on TV) before her 20th birthday. Gillam’s onstage charisma and virtuosity is matched offstage by her entrepreneurial zeal, making her the perfect ambassador for her instrument. 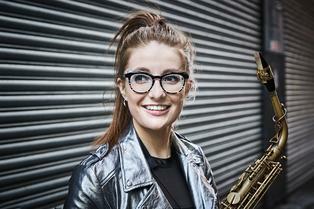 No wonder she was quickly snapped up by Decca, becoming — at just 19 — the first-ever saxophonist to sign with the label. The spirited young trailblazer, who already has a Classical Brit award under her belt, also runs her own festival and cites David Bowie as a hero. In 2019, Gillam will release her hotly-anticipated first album and has concert engagements all over Europe, from Barcelona to Finland to Lucerne. Still just 19 and a student at Philadelphia’s Curtis Institute, Wei Luo has taken first prize in multiple competitions in her native China and is the recipient of the 2018 Gilmore Young Artist Award. A student of the legendary Gary Graffman, who also taught Lang Lang and Yuja Wang, she has already signed to Decca Gold — whose roster includes the likes of Daniil Trifonov, Reneé Fleming, Anna Netrebko and Lang Lang. WQXR heard a sneak preview of her debut album (due for release this year and featuring Haydn, Prokofiev, Ravel and Shostakovich), and we were absolutely blown away, not only by her pyrotechnical virtuosity but by the range of musical colors she teased from the keys. When you’re in the presence of truly great artistry, you just know it — and trust us, Wei Luo has it.